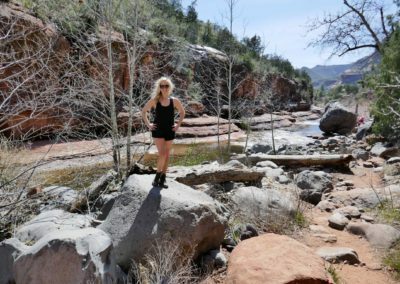 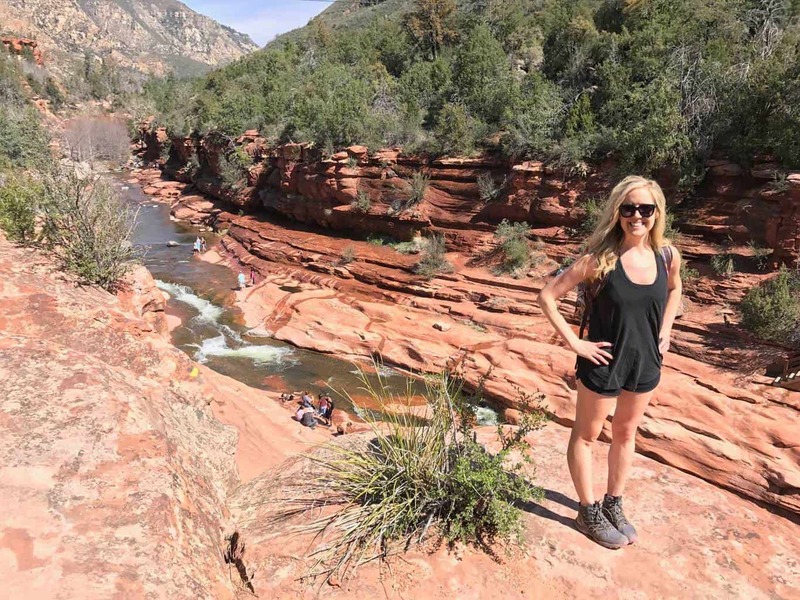 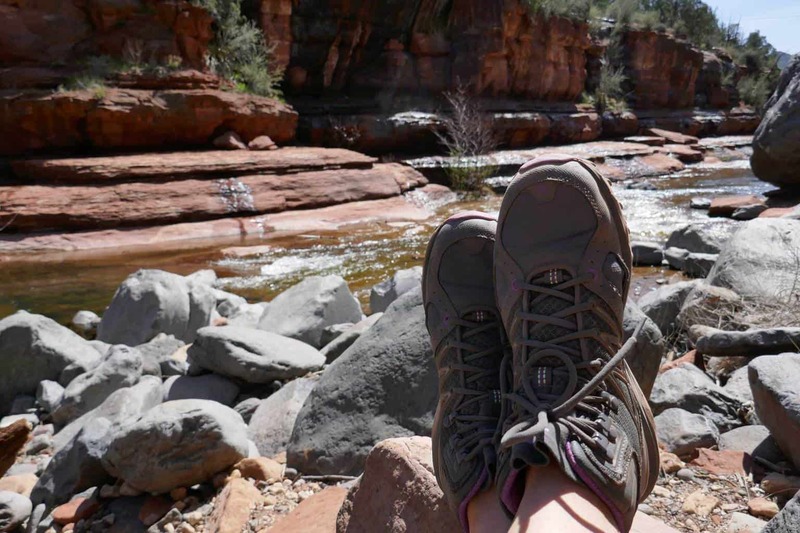 Best Sedona Arizona Hiking Trail: If you’re searching for a place to cool down in Sedona, Slide Rock State Park is your destination to refresh and make a splash! 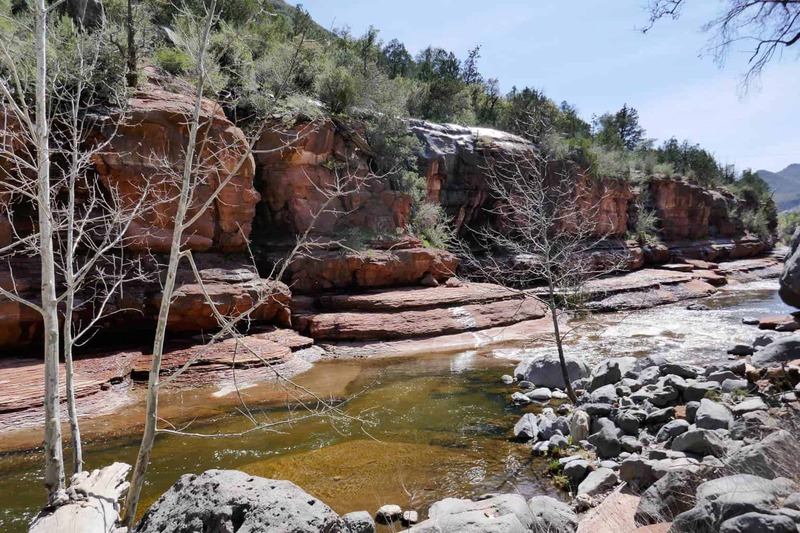 Nominated as one of the best swimming holes in The United States, Slide Rock State Park features an incredible natural water slide and swimming hole. 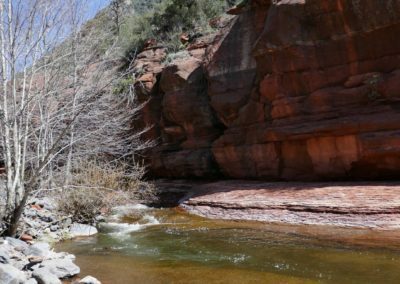 It’s a very popular destination for locals & visitors alike who enjoy cooling off in Oak Creek’s soothing waters. 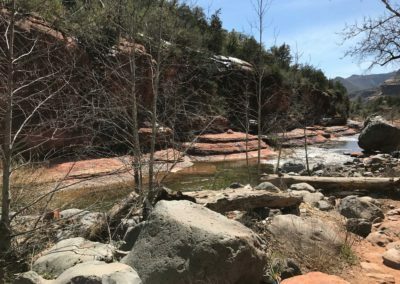 Slide Rock State Park was originally purchased by Frank L. Pendley in 1912 who developed the land into an apple orchard. 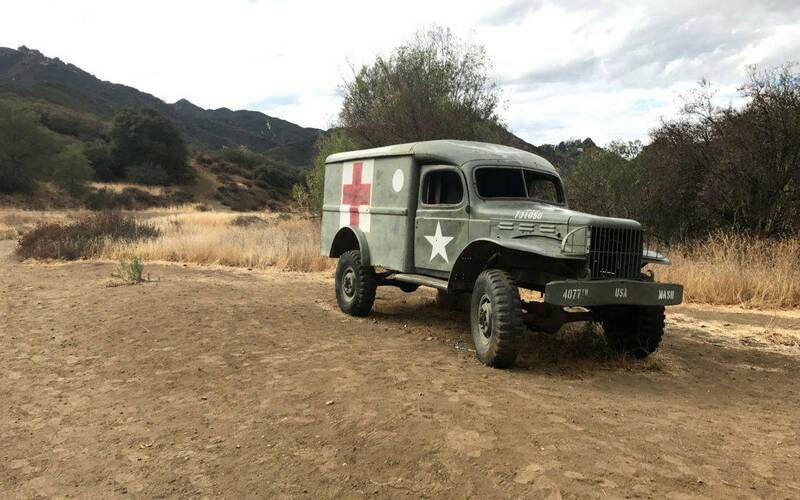 Over the next 70 years the land transformed into a backdrop for several Hollywood Western movies, including Gun Fury & Broken Arrow and served as a recreation destination for tourists who stayed in the area’s cabins. 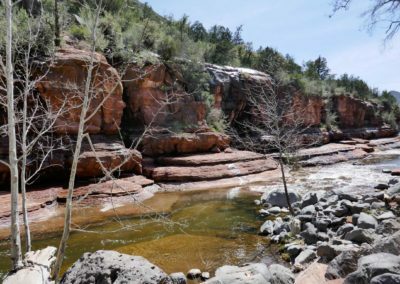 In 1985, The Arizona State Parks purchased the land and opened the 43 acre area as Slide Rock State Park in 1987. 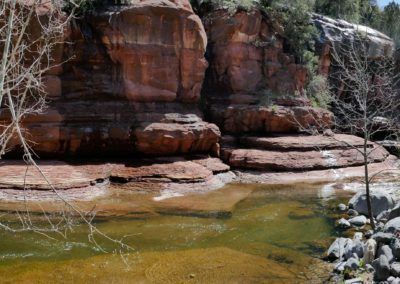 Today, Slide Rock State Park is a popular recreation destination and offers 3 short .5 to 1 mile hiking trails for active enthusiasts. 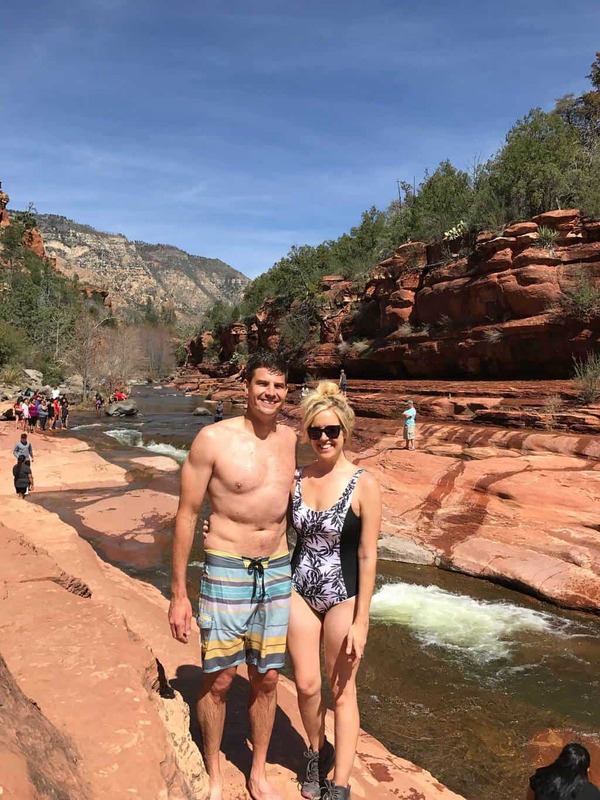 If you plan on making a visit, go early as it’s a popular destination & don’t forget your bathing suit & towel. 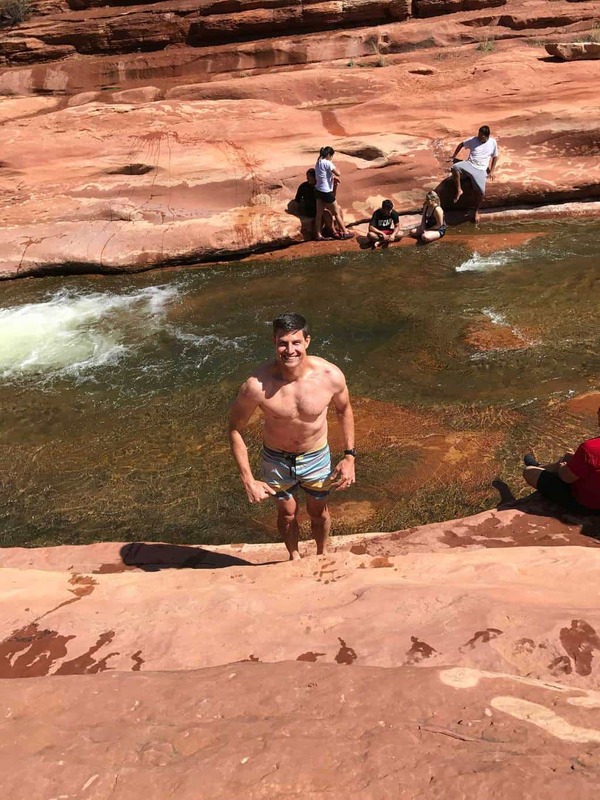 Make a splash & enjoy! 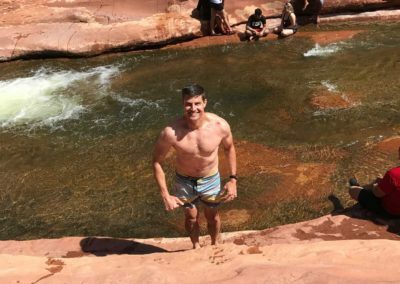 Estimated Time: 1-2 hours (depending how much time you spend swimming & relaxing). In 2014, Slide Rock was named one of Fordor's Travel top 10 state parks in the United States. 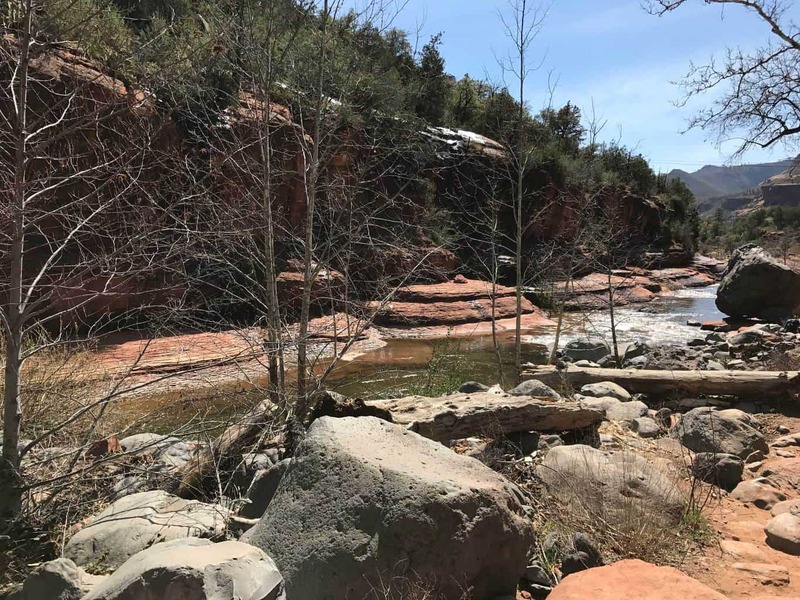 Spring/Summer/Fall: If you’re searching to cool down, Slide Rock State Park provides hikers with the opportunity to enjoy a short 1-2 mile hike and then enjoy a refreshing dip in the water hole. 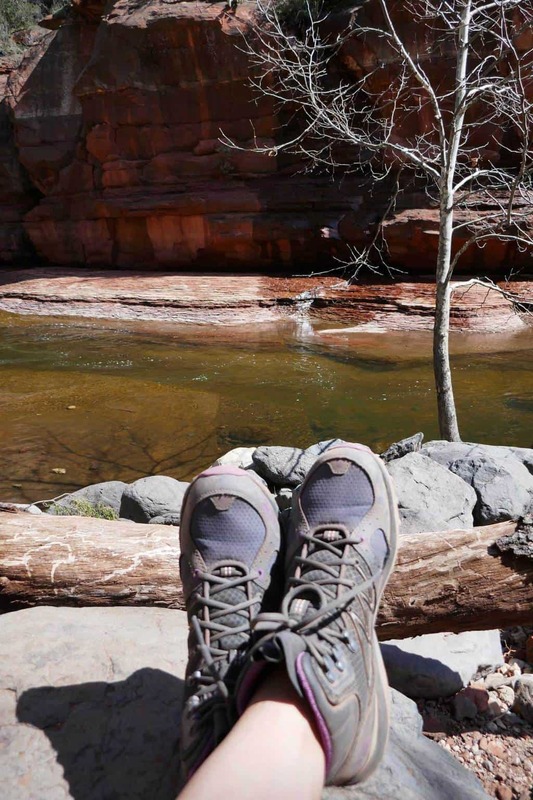 During the summer months, the state park is very popular, so plan on visiting early to find parking. 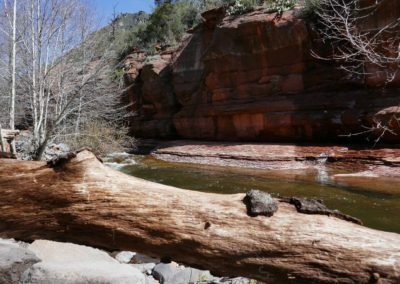 Yes, dogs are permitted in the trail areas of Slide Rock State Park. 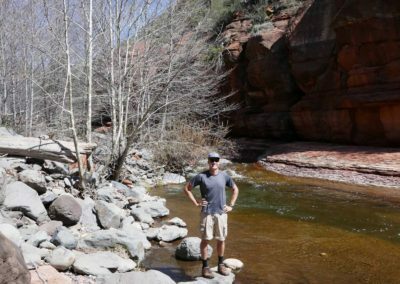 However, they are not permitted along the creek edge or in the swimming hole. 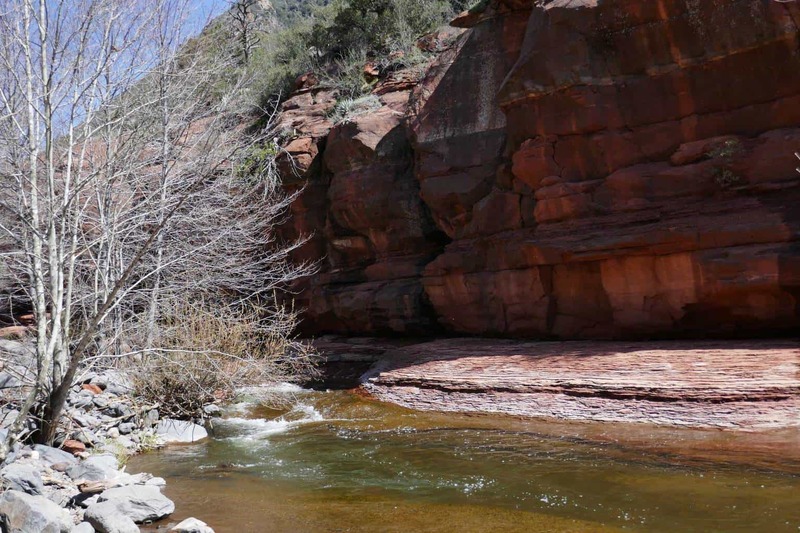 Slide Rock State Park is the perfect place to relax, rinse off or make a splash! 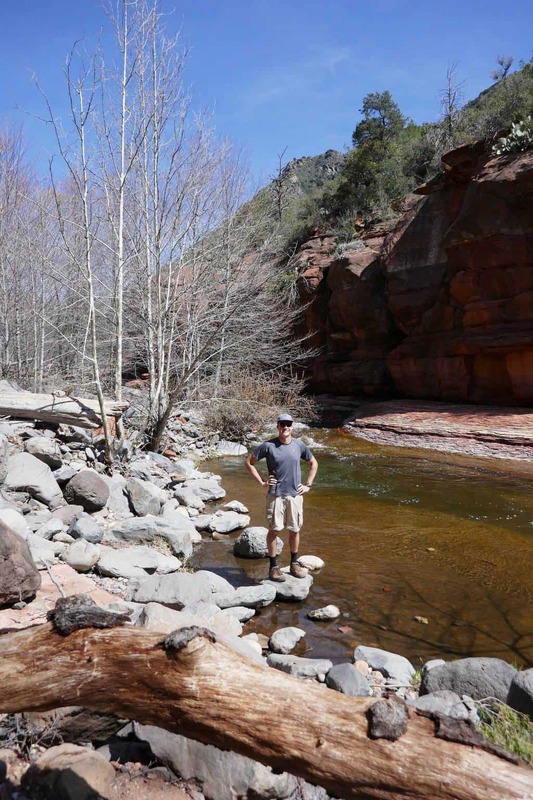 We enjoyed a picnic at the creek’s edge and even braved the cool water and slid down the slide! 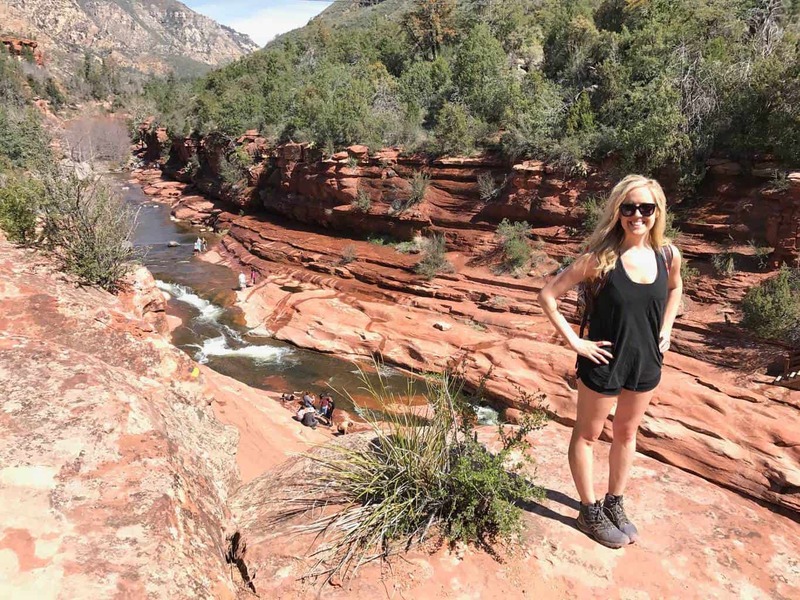 Although the hiking trails are very short, Slide Rock State Park is very picturesque and worth exploring! 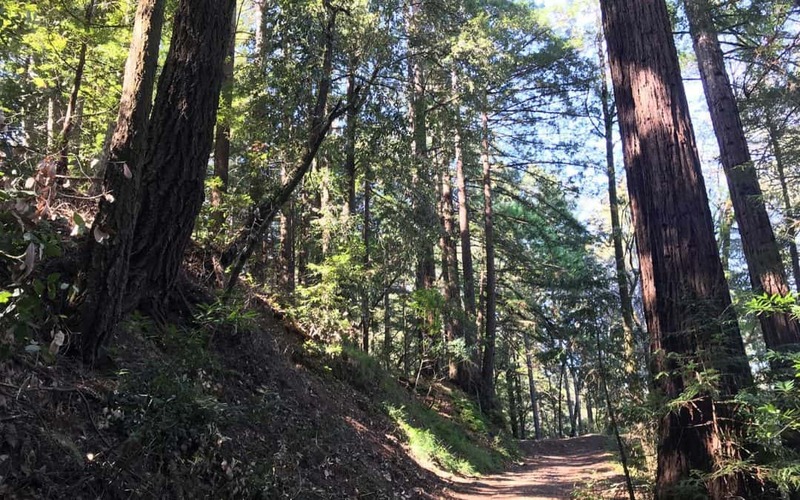 Rincon Fire Road Trail is a moderately trafficked 3.9 mile out and back hiking trail in the middle of the Santa Cruz redwoods. 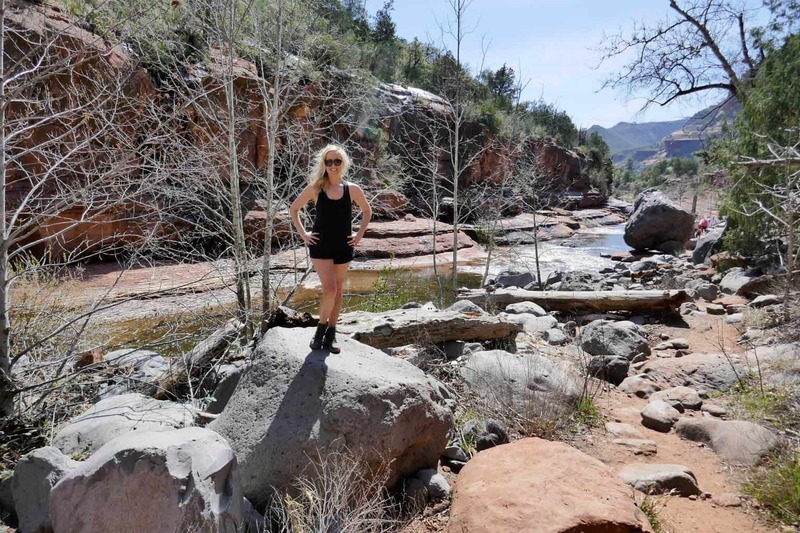 This trail is popular with hikers, mountain bikers and even horseback riders. 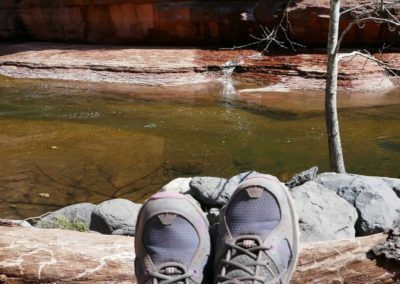 If you’re searching for a family friendly hike underneath redwoods, this is it! 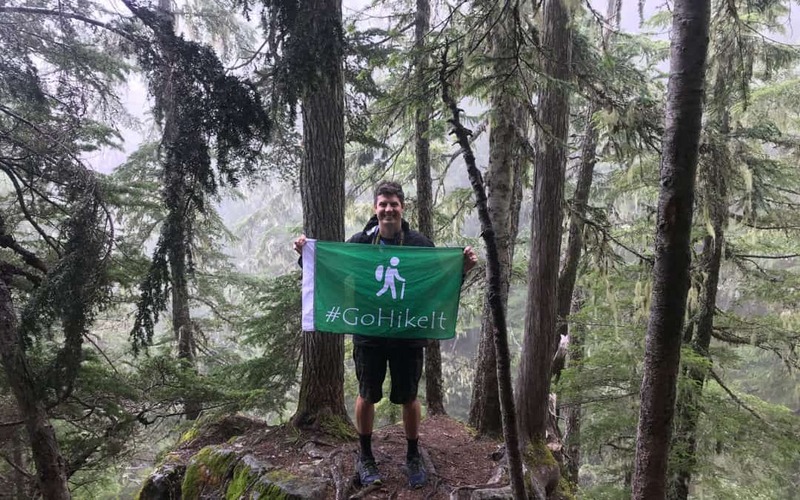 Discover the best hikes in Los Angeles, including Griffith Park, Franklin Canyon, Malibu and more! 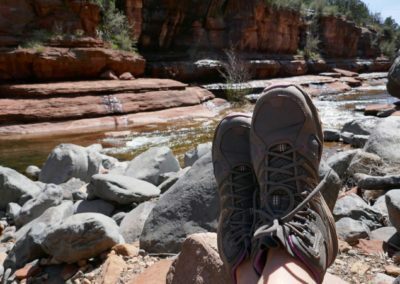 Learn why LA has some of the best hikes in California and see the area’s trail maps, pictures and hiking reviews.